This special ceremony is a traditional cultural celebration where generations, young and old, gather to socialize, dance, sing, rekindle friendships and build new relationships. With each beat of their sacred drums, more than 700 tribal dancers lifted their spirits and celebrated, life, family, culture and each other. 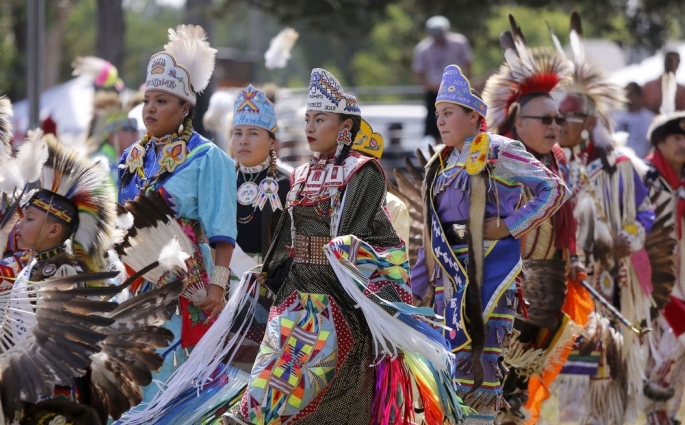 For three days during the weekend, Native American tribes from all over the United States, and some from Canada, participated in "Wacipi"— which in the Dakota language means "they dance"—or a powwow. Everything from the brightly colored regalia — the traditional and ceremonial garments each individual wore represented their unique tribes — to the beating of the drums held significance to their heritage. "The drum itself has its own spirit, just like we have our own spirit inside of us," said Calvin Campbell, chairman of the powwow committee. "With the drums, it brings healing. … It's important that we carry on what the old people started. Our culture, our history, all of this." The arena where the dancing and singing took place was blessed specifically for the gathering, and sacred plants was offered to "the creator." In the center of the grassy space, veterans placed flag poles and holders for eagle feather staffs and flags. Gathering to celebrate their heritage is important, said Mabel Cozad, tribal elder of the Kiowa tribe in Oklahoma. She sat near the arena while dressed in her regalia. Each style of dress is different. Everything from porcupine quills, colored beadwork, symbols and other adornments help identify the wearer's tribe or family. Sometimes, animal fur or skins indicate what region their individual tribe is from. Traditionally, regalia is only worn for special gatherings. "We love it. 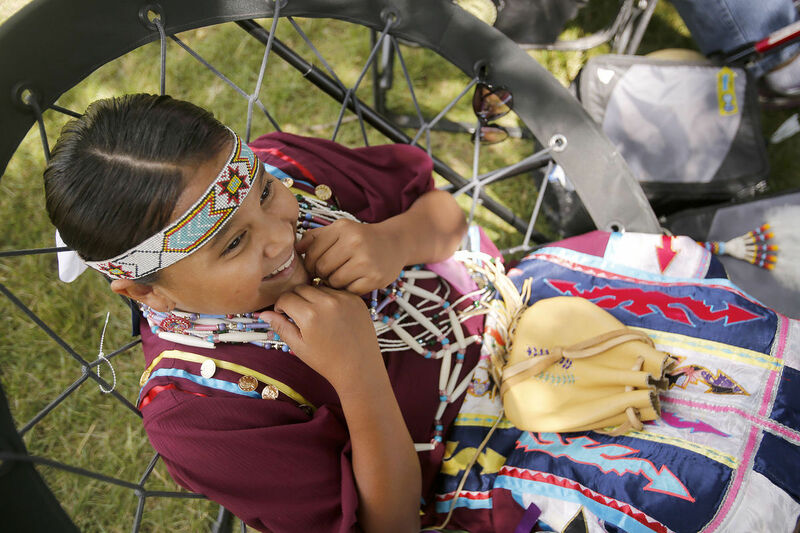 We love doing this and we want our kids to know and our grandchildren to know our tribal traditions, because all of us we dance in our own tribal attire," Cozad said. "A lot of people think that all Indians are alike and all Indians dance a lot. Well, that's not true. We all have our own tribal customs, and how we dress. So, we want that to be left as a legacy to our families." Lance Crooks, 15, of the Shakopee Mdewakanton Sioux Tribe attends Wacipi every year. He said his heritage needs to be preserved, and he plans on continuing to pass down traditions for generations to come. "What Wacipi means to me and every Native American is to give thanks and to dance for your family, your relatives, and for those who have fallen to get us here in the first place," Crooks said. "It's very important to keep this culture and our traditions alive. I think it's very important for our youths to keep up with it, too." Responses to "700 tribal dancers lifted their spirits and celebrated, life, family and culture"